Parasites are very common with this type of tortoise. Getting parasites outdoors is more likely than indoors, the tortoise is exposed to more parasite prone opportunities. If a bird takes a birdbath in his water bowl or a raccoon (or other animal) investigates the tortoises housing the tortoise could pick up the parasite. Getting a parasite indoors happens less often but it is still possible, for example, another tortoise could have a parasite and pass it on. Native caught are much more likely to be carriers of parasites than captive bred, which is another reason why is it best to only deal with captive bred. Tortoises can a low level or parasites and be okay if the tortoise is healthy. If his health falls, the parasites will multiply and could end up killing your pet. The best measure to take to fight back against parasites is to keep your tortoise healthy and maintain a clean housing. There are two types of parasites; ectoparasites and endoparasites. Ectoparasites are on the outside of the body. Ectoparasites occur more in wild caught tortoises. 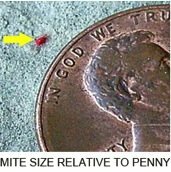 Mites are rare but can occur. They are the size of a pinhead or smaller. You can find them in the neck and leg folds of the skin. You can visually see them moving around and they leave behind a dusty waist. 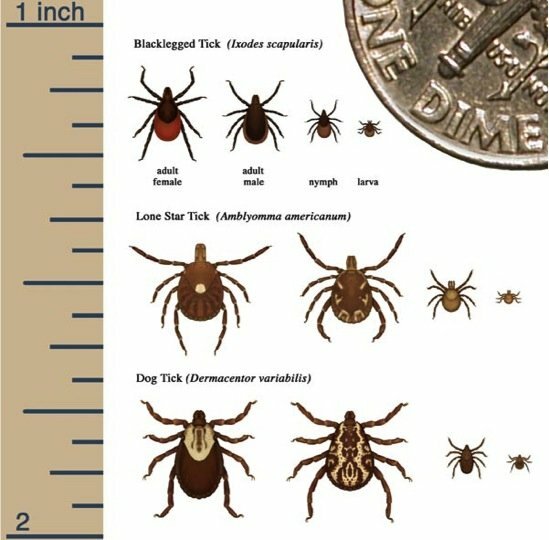 Ticks are bigger than mites, they are more common and can be found in the same places. Both mites and ticks can be physically removed using a brush or tweezers. Mites are easier to brush away but tacks attach more to the skin so pull away from the skin with tweezers and try your best to takes the ticks head off too. Many times the tick’s head does not come off and is buried in the skin. Leave the head in the skin and disinfect with antiseptic. When performing this, always do it away from the housing to keep it clean. In addition, the best preventative way to avoid parasites is to keep a clean housing area: change the water every other day, clean indoor housing, switch out substrate, use antibacterial wipes on indoor housing etc. Maggots are the larval stage before a fly becomes…well, a fly. In most animals this only occurs with an open wound, where the fly will plant its larval eggs in that area. This occurs with tortoises as well but also they can be planted in tucked away crevasses. Every so often, pick up and deeply examine your tortoise for maggots, among other issues. This can occur especially where to skin meets the shell. Endoparasites are on the inside of the body. Ectoparasites occur more often than ectoparasites. A tortoise in the same pen can pass this (or another disease) to another tortoise. The chances of this happening multiply when wild caught or different tortoise species are involved and so neither of these two are ever recommended. Endoparasites are like ecto in that both occur most often outdoors and having endo or ecto is ok if your tortoise is in good health. Actually, your pet will more than likely get them outdoors but this is natural and okay once again if a good health level is maintained. Signs that indicate your tortoise has parasites will be prevalent when all the living conditions stay the same but his behavior changes. This could be that he doesn’t eat, eyes are closes, nose is runny, runny stool with no shape as opposed to its normal pellet like stool or worms in the stool. At this point you need to take your tortoise into your veterinarian. Bring a stool sample to your vet for examination. If your visit is not the same day store the stool in a cool place like a refrigerator. Protozoans are single-cell organisms, usually flagellates and amoebas. 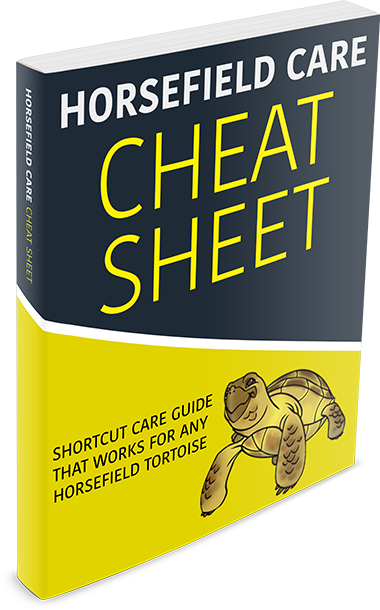 A horsefield tortoise can get along okay with a few but stress will trigger an abundance. If it gets out of control then you can use a drug like metronidazole to rid protozoans. Helminths are parasitic worms including flatworms, roundworms and also tapeworms. Fenbendazole (Panacur brand) is the most commonly used drug for this. In conclusion of parasites, it is okay and common for a horsefield tortoise to have a low level of parasites. But if you see signs and indications that level of parasites are affecting your tortoise use the instructed steps and see your veterinarian for further assistance. The proactive actions are to get captive bred, keep the housing clean, observe and inspect your pet often.